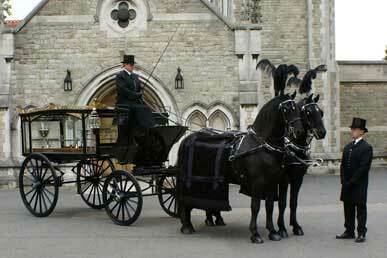 Should you require a funeral with a little more elegance and style, our horse drawn hearse and coachman can provide that extra touch of distinction, to any procession. 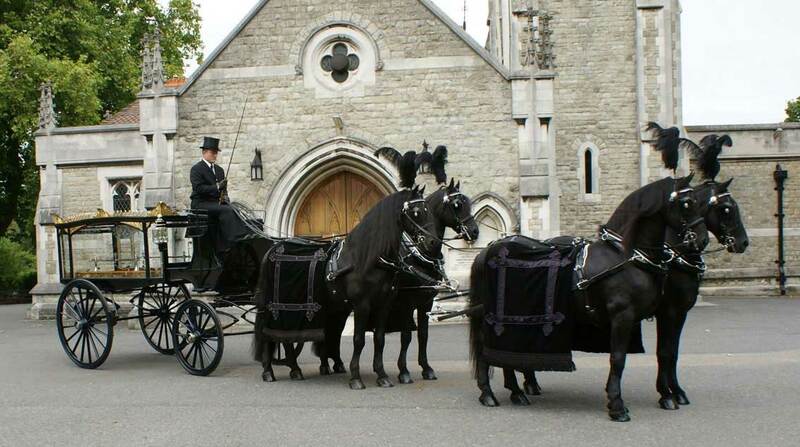 Built in 1876 by the renowned manufacturer of carriages, Marston, it is pulled by a pair of Friesian horses, otherwise known as Belgium Blacks. 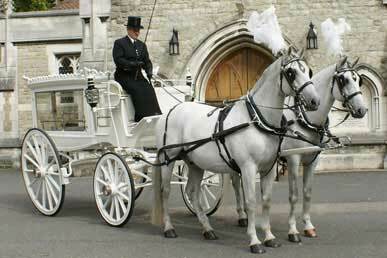 These horses are picked specifically for the task, they are highly regarded for their temperament and regal stature. We have a range of alternative vehicles that are provided by other firms throughout the country. Please discuss with us availability. Any price includes our handling of the booking, travelling to our premises, the assistance of our staff if required, and settlement of these suppliers invoices in advance when required.